Somthing to look forward to next year! 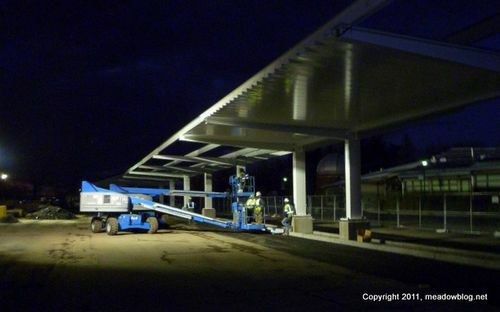 Next time you visit DeKorte Park, you might be surprised how far along the work has progressed on the solar canopy in the parking lot by the observatory. This shot was taken just a few days ago, and the panels themselves are now being installed. 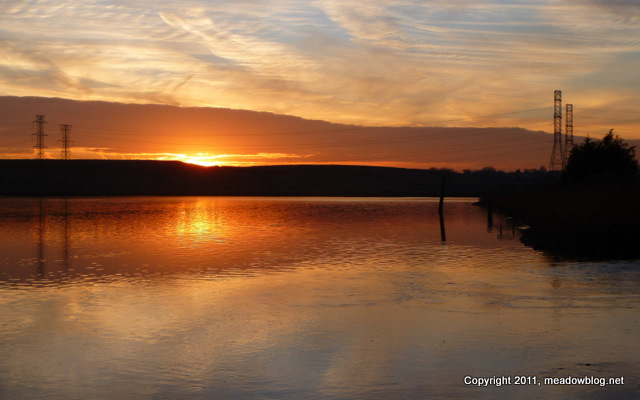 The year 2011 marked the dedication of a new riverside park in Carlstadt, lots of great nature sightings, and the continued partnership with Bergen County Audubon Society. We thought we'd celebrate by looking back at 2011, month by month. Get Ready for a Meadowlands Big Year!?!! 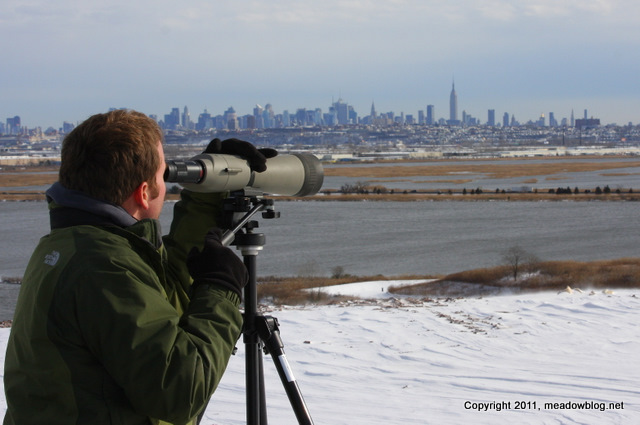 The New Jersey Meadowlands Commission is working out the details for a Meadowlands Big Year competition, starting Jan. 1, so get you binoculars and spotting scopes ready. Standard Big Year rules apply — all species must be seen with in the 30.4-square-mile district, which encompasses parts of 14 towns in Bergen and Hudson counties — with an exciting wrinkle. Details will be posted on the blog as they become available. "Wednesday morning I got good looks at a first or second-cycle GLAUCOUS GULL at DeKorte Park in Bergen County while standing at the corner of the Transco trail near the Turnpike. 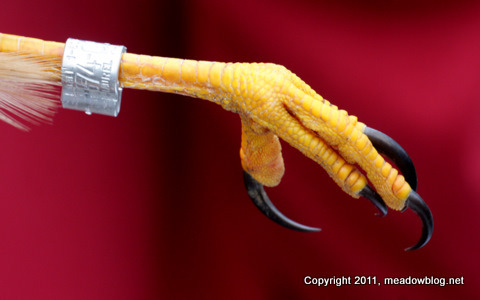 "The bird flew in from the east (over the Turnpike) in the company of three Herring Gulls. I could easily see its bicolored bill, cream-colored plumage and lack of black on the tail or wings as it flew just 20 feet over my head and continued east. 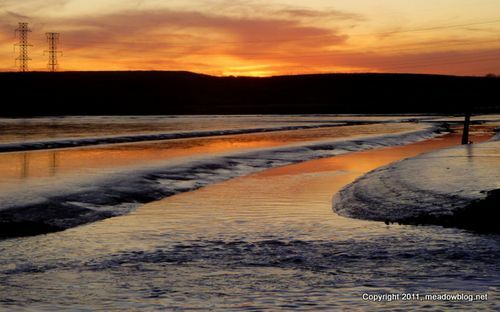 "When it reached the landfill across the impoundment it parted company with the Herring Gulls and headed slowly north towards suburbia. I lost sight of it as it approached the old transfer station. of) the same bird(s) reported by others early in the season. Also present were approximately 60 Canvasback." (Thanks, Dan!) Would sure love for someone to get a photo! More on Glaucous Gulls here. 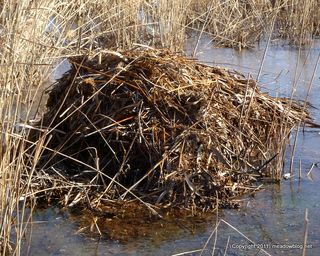 Our latest "Focus on the Meadowlands" post on wildnewjersey.tv features photos from the Christmas Bird Count: a Muskrat hut, a long trek up a closed landfill, and one of those persistent Yellowlegs at DeKorte Park. 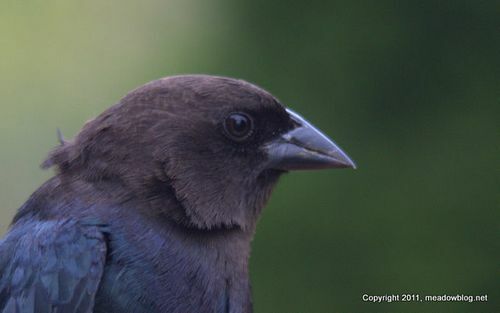 Yep — it's a Brown-headed Cowbird, our favorite parasite next to the Eiffel Tower. Congrats to all who answered correctly!